Deciding when to start applying to business school can be a challenge. Salary increases dramatically after an MBA, but schools tend to prefer applicants with more work experience. I looked at the top 25 US MBA programs’ admission data to find the best schools for young MBA applicants in terms of chance of being admitted. 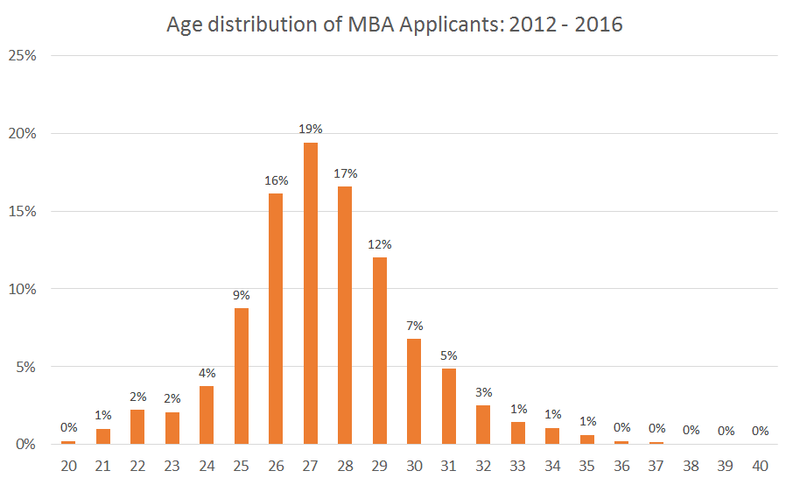 I analyzed the MBA acceptance rate by age to see which schools had the smallest disadvantage for younger applicants relative to traditionally aged MBA applicants. How Many MBA Applicants are Young? I defined an applicant as young if they are 25 or younger. I compared the young MBA applicants to those who are the more typical age range of 26 to 29. Over the past 5 years, the number of young applicants has increased significantly from 13% of the applicant pool to 21% over the past 5 years. Despite the increase in supply of young applicants, there has not been a drop in acceptance rate for younger candidates. The rise in applications from younger applicants could be driven by some schools adopting programs specifically targeted at undergraduates. Harvard has the 2+2 program that allows undergraduates to apply to HBS while they are still in school. 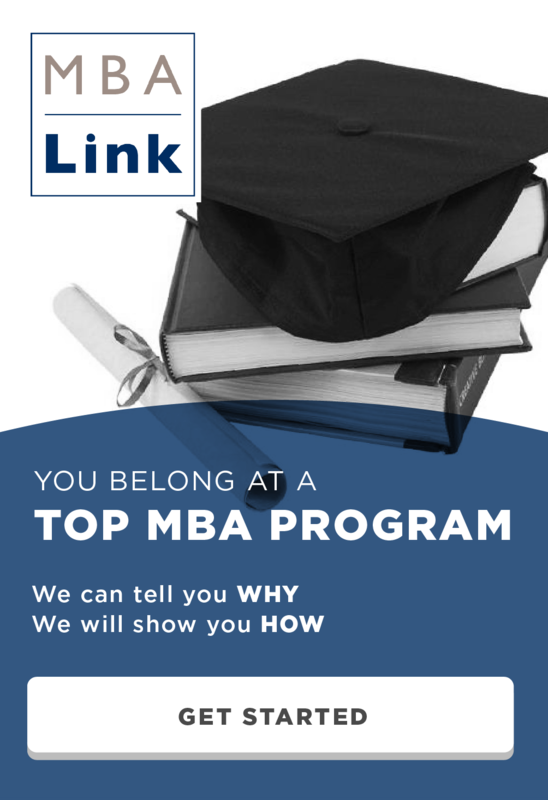 Those who are accepted must spend at least 2 years working full time before starting their MBA. NYU Stern also has a program targeted towards undergraduates called the Berkley Scholars. It is a very selective program where 5 to 6 undergraduates will get a full ride and a stipend for living expenses. Unlike Harvard’s 2+2 program, Berkley Scholars start their MBA immediately. The Berkley Scholars tend to do very well. From the class of 2016, two of the scholars joined McKinsey and one went to BCG. Almost every school in the top 25 penalizes young applicants in admissions. On average young applicants have only 2.5 years of work experience which, is 2 years lower than traditionally aged applicants that are 26 to 29. Most of the best schools for young MBA applicants still moderately penalize younger applicants. Stanford is the only school that actually gives young applicants an advantage when they apply. My hypothesis is that it is related to their affinity for startups. If a young person has a great idea for a startup, will 2 more years working as a low level analyst really improve the odds of it working out? In the table below, the “Disadvantage for <25” column shows how much lower the odds are for a young applicant to be admitted. For example at MIT an applicant that is 26 to 29 has a 16% acceptance rate. The disadvantage factor is -10%, so the young MBA acceptance rate is 14.4%. I have included the average GMAT and GPA for reference. These schools are at the complete other end of the spectrum. These MBA programs severely penalize young applicants. It is interesting to see Berkeley, the other top California school, treats young applicants completely contrary to Stanford. Young applicants have a 72% lower chance of being admitted then applicants 26 to 29, despite the young applicants having higher GMAT and GPA. I was a little shocked to see Harvard featured so prominently on the list of worst schools for young MBA applicants given that they have the 2+2 program to attract young talent. For reference, here are the raw MBA acceptance rates by age group for each school. I also looked at older applicants and plan to do a follow-up article focusing on applicants that are 30 years old and older. Are you curious what round to apply during? Check out my article on MBA Acceptance Rate by round. This entry was posted in Admissions, Anderson, Booth, Columbia, Darden, Emory, Fuqua, Georgtown, GMAT, GPA, Harvard, Johnson, Kelley, Kellogg, Kenan-Flagler, MBA, McCombs, Olin, Ross, Sloan, Stanford, Stern, Tepper, Tuck, Wharton, Yale and tagged Admissions, Age, Anderson, Application, Booth, Carey, Columbia, Cornell, Darden, Duke, Emory, Georgetown, GMAT, GPA, Haas, Harvard, Kelley, Kellogg, MBA, McCombs, Olin, Owen, Ross, Sloan, Stanford, Stern, Tepper, Tuck, USC, Wharton, Yale on March 19, 2017 by Data Guru. When we talk about age, is this typically discussed in terms of age at application, or age at matriculation/entering the program? This analysis is based off of self reported data from GMAT Club. It is supposed to be as of matriculation, but a person can put in whatever they want, so they may put in their current age. I clean up the data and remove entries that make no sense like if they put in a year (2016). In the end, the the difference between your age at application and matriculation is only 6 months to a year. It likely does not make a huge difference. Thank you for awesome post! I wanted to clarify one point. Let’s say Student “A” has 1.5 years of work experience at the time he is applying to the university and by the fall semester (when he can start his education) he will have 2.5 years of work experience. What does Admission committee consider? The length of work experience student “A” got when applying or the one he got before starting his education? I’m not sure how the admissions committee considers work experience but my data is based on the work experience a matriculation, not at application time. Hey Data Guru – love your series of posts! Just wanted to also bring to your attention, similar to HBS’s 2+2 program, GSB has a deferral program, and somewhat similar to Stern’s program, SOM has the Silver Scholars program, which accepts nearly 20 students straight out of undergrad into the MBA program (I was a part of this program). Check it out more here: https://som.yale.edu/programs/mba/admissions/silver-scholars Consequently, I suspect much of the 13% of under 25 applicants might be part of this application cohort. Finally, Wharton is starting a program for students from Penn to matriculate directly out of undergrad too.